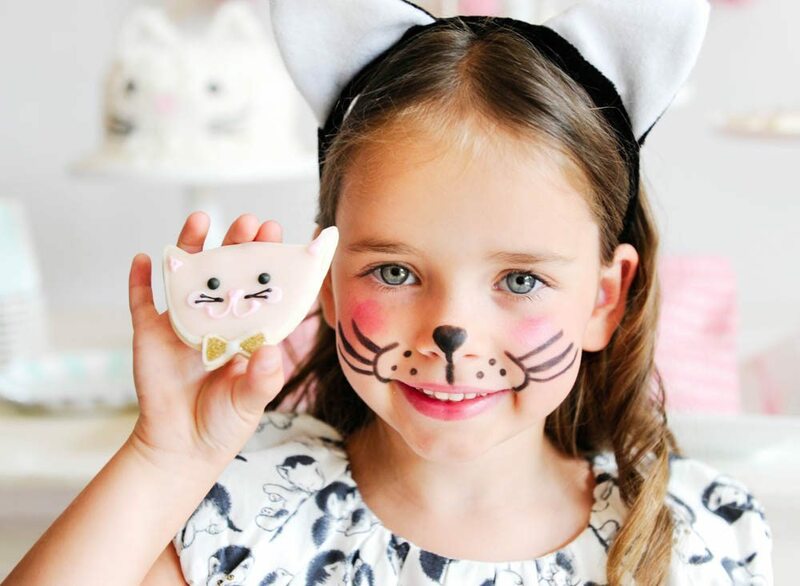 On the hunt for the most purrr-fect kitten party? Well, the cat’s out of the bag! 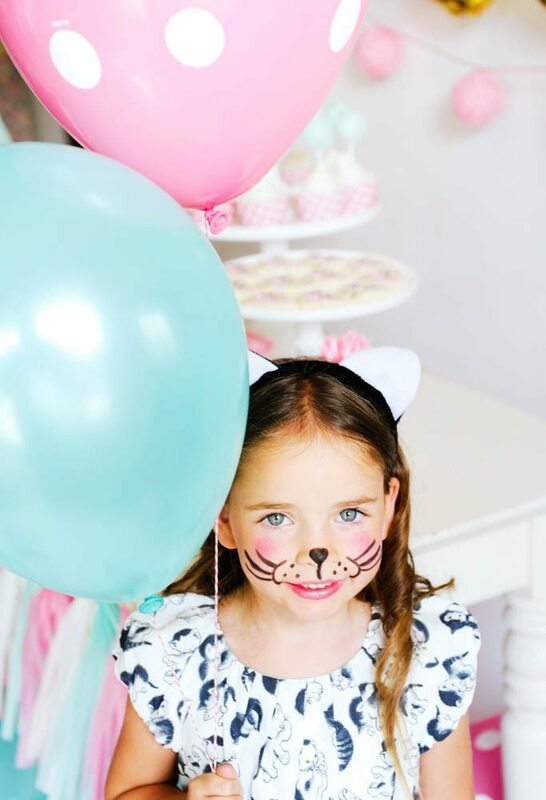 This cute kitten birthday party from Happy Wish Company is a Pinterest favorite and totally fabulous. 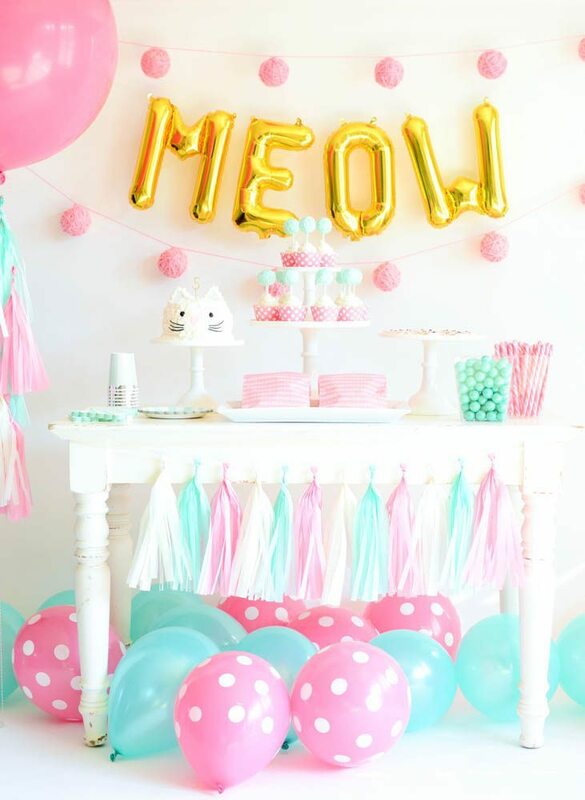 From the kitty cake, to the yarn ball cupcake toppers, to the gold foil M-E-O-W balloons, there is so much inspiration for your kitten party. And the pink, mint and gold color palette? So gorgeous! 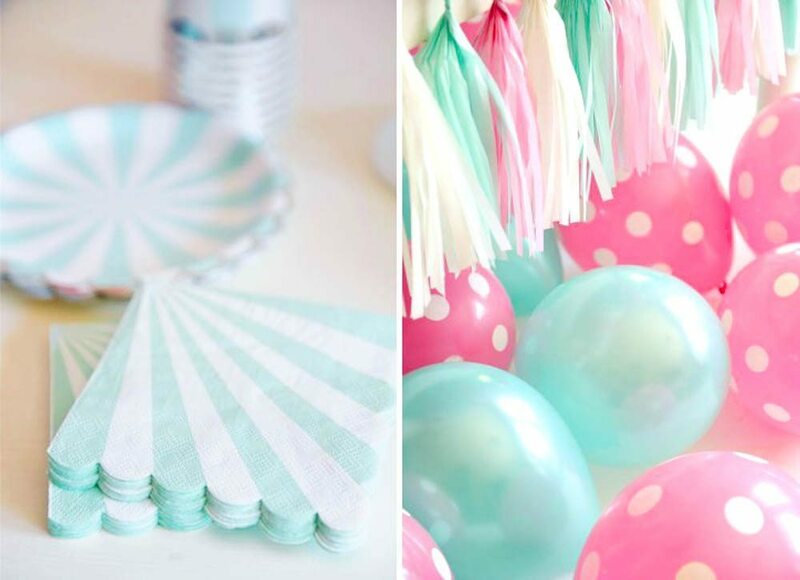 This would be the cutest theme for any little girl’s birthday party. Thank you to Happy Wish Company for sharing this adorable kitten party with us! 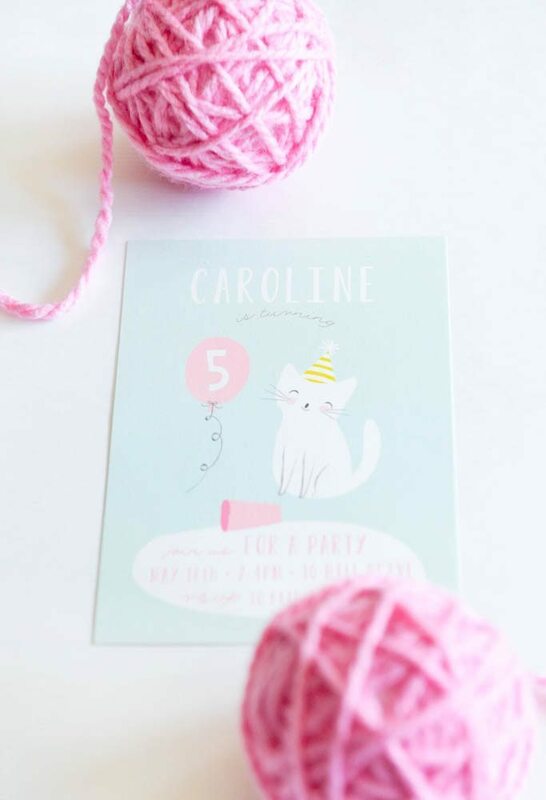 This sweet invitation was the inspiration behind the look and feel for the party. I like how the shapes and colors match all the other party choices. 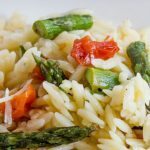 The style of this could be great for so many ages. 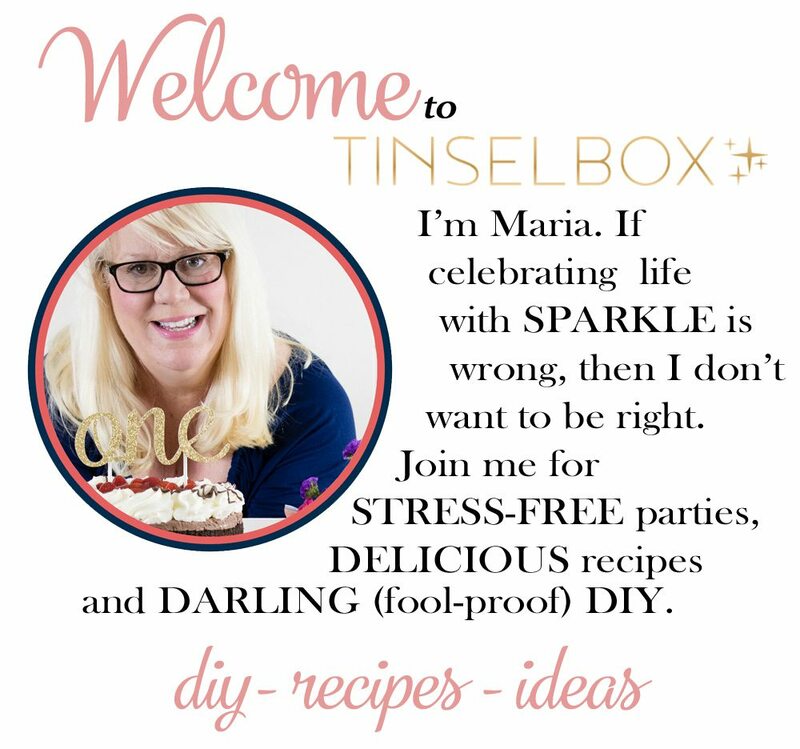 I love when the dessert table is the main focal point of a party and the main area you really need for decor. Look at this spread which sets the tone! 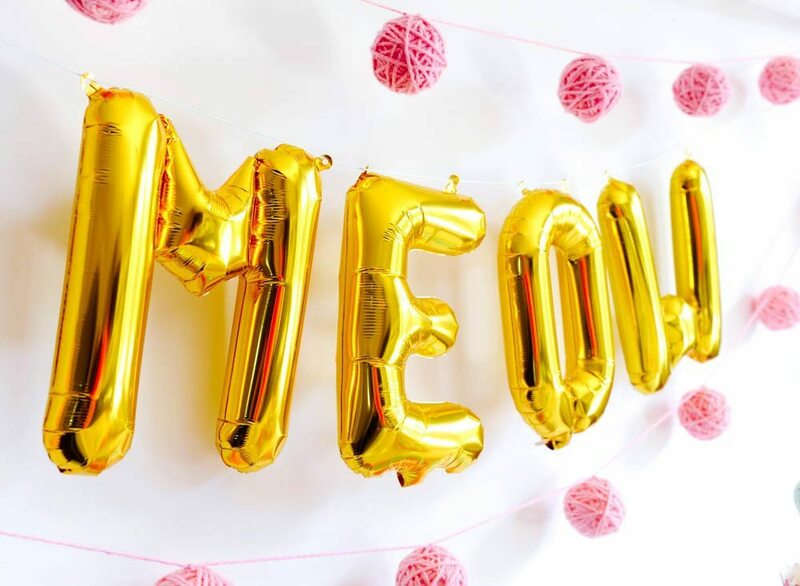 The foil M-E-O-W balloons with the yarn ball garlands look so amazing together. LOVE! This is one VERY happy, furry friend loving, 5-year-old birthday girl! 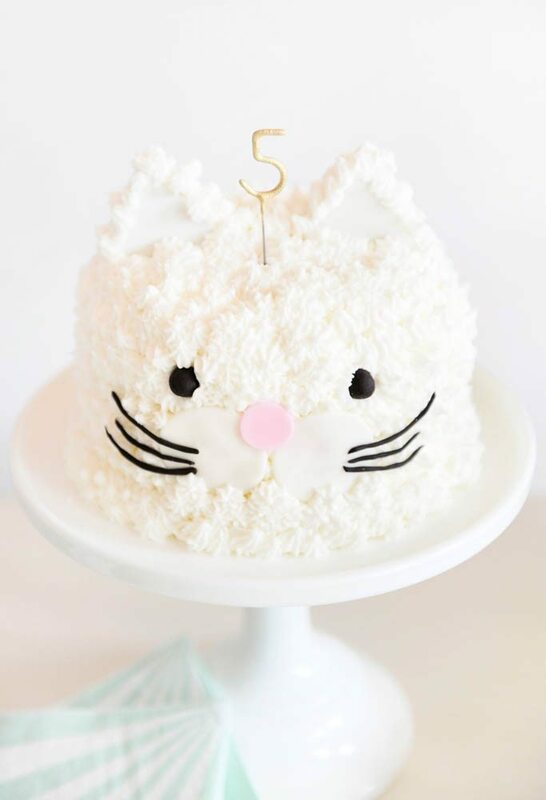 Okay, can we talk about this kitty cake? 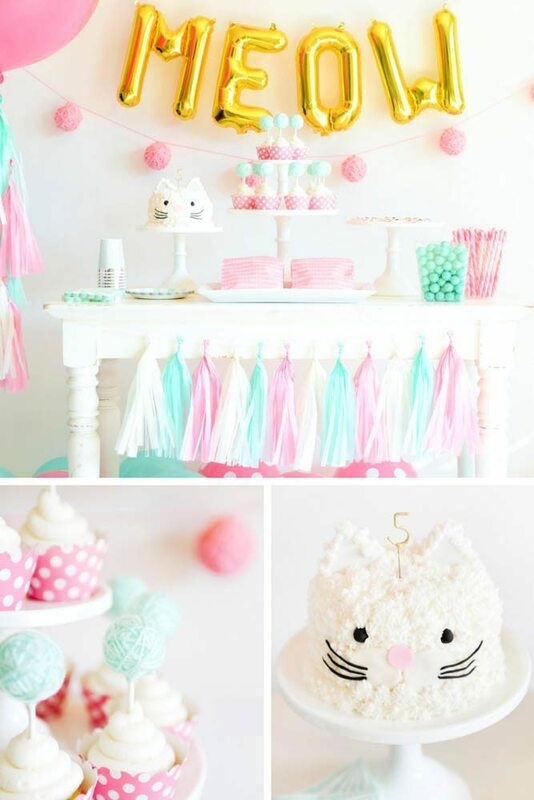 It’s so incredibly adorable, and I love how the frosting makes the kitty look soft and fluffy. The birthday girl and a kitty sugar cookie! That gold bow tie makes the kitty extra fancy. 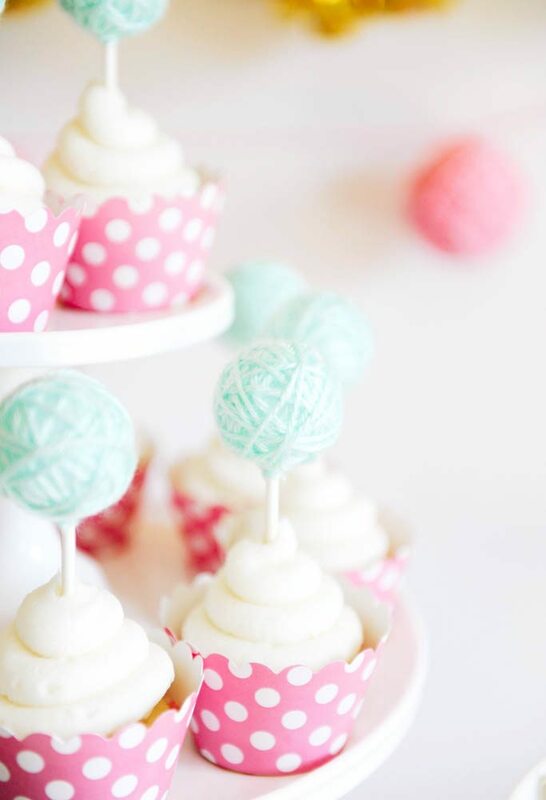 Similar to the yarn ball garlands, these yarn ball cupcake toppers are so creative and tie into the theme perfectly. Kitties sure love to play with yarn! 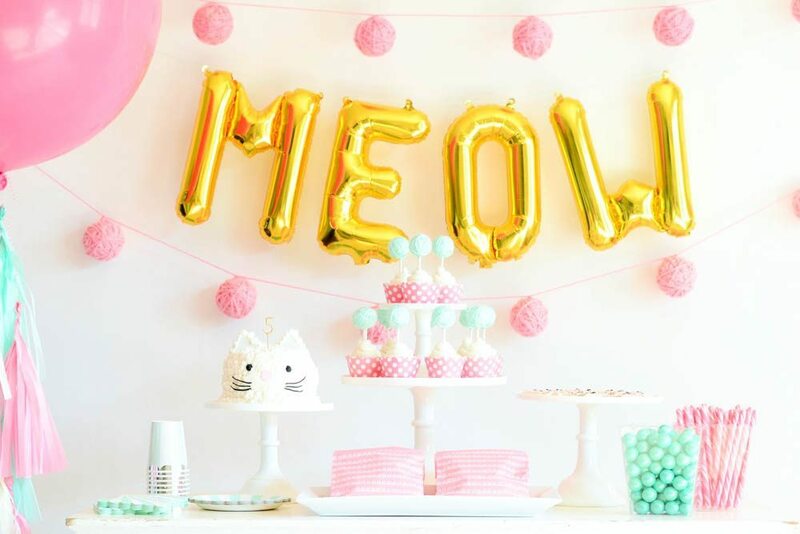 So many purrr-fect ideas for your kitten party! I hope you got some inspiration! 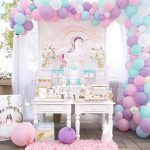 Make sure to head over the Happy Wish Company to see more, including information on how to order any of the adorable decor.